Do you like cooking in a pressure cooker or you become nervous while cooking it? We do have heard so many so many horror stories about cooking Induction Base Cooker as well. Honestly, you must not worry about cooking in pressure cooker. Also, all the modern pressure cookers come with wide variety of features that will ensure that you won’t face any explosion while cooking spaghetti or any other thing. Another reason is that nowadays cooking in a pressure cooker is secured because the Pressure Cooker Accessories which come along with the cooker protect it from releasing an excessive amount of pressure. Never buy a used pressure cooker– Most of the people think that buying a second hand pressure cooker may save a lot of money but in case of pressure cooker you must not do the same. Amy be those old pressure cooker attract you but always remember that those old models can be included with cracked gaskets or unfitted lids. 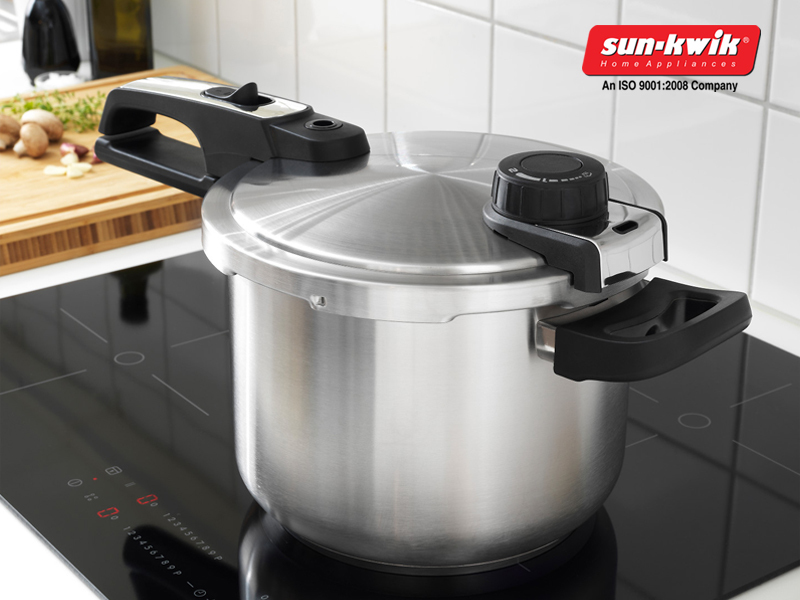 Store and clean your pressure cooker properly – This is one of the most recommended method to keep your cooker safe and secure. Make sure that after every use you must clean the gasket, lid, pot with warm water. It helps to remove all the dirt along with germs. Don’t over fill your cooker– Generally people over fill the cooker while preparing food. But, you must be aware that it is not the right technique to cook food. The cooker must not be full over two third. If you do not do so then there is a strong possibility that the food might get obstruct. Keep your eye away from steam – when you open up your pressure cooker after the food gets cooked a steam evolves out from the valve. To save your hand from excess heat make sure that you keep your pot holders remain dry. Make sure that they are dry because otherwise it will affect your hand badly and even could burn it. Do not consider anything else and make sure that the lid of the cooker do not faces you and never stay close to the pressure cooker. Learn how to time yourself– The most important thing to use the pressure cooker safely and for that you need to know the time required to cook the food. It is always that never to cook more while cooking. If you need to overcook your food then try to check your food with an interval of 3-5 minutes. Never use cooking oil with a pressure cooker– It is a very dangerous way to mix your cooking oil and even if you think a small amount won’t do any harm then you are absolutely wrong. It is important that you should not mix even a bit of cooking oil in your pressure cooker because it can cause dangerous hazard.